If you have been dreaming of owning an oceanfront property in Wrightsville Beach but were concerned about managing the upkeep when you were not there, then maybe a condo is the answer. 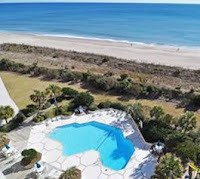 We currently have an amazing top floor condominium for sale in Station One which is considered one of the best oceanfront complexes at Wrightsville Beach. Besides easy beach access and the incredible views from your balcony, you can also enjoy working up a sweat on the tennis and basketball courts before jumping into the private pool. Station One is only steps away from Wrightsville Beach restaurants, shops, and the municipal dock along Banks Channel. 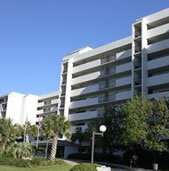 This unit has 4 rooms including 2 bedrooms and 2 full baths and comes fully furnished. With a solid rental history, this Wrightsville Beach condo may be the one your have been waiting for. Contact Hardee Hunt & Williams for additional information on this property or any other homes for sale in Wrightsville Beach, North Carolina - 910.256.6998.